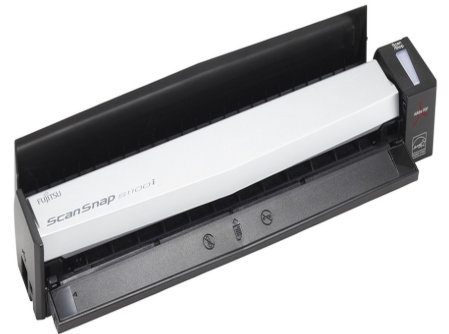 The Fujitsu ScanSnap S1100i is able to connect to a wireless internet network, allowing devices connected to the same network to receive scan results directly. The scan results can also be saved directly to online (cloud) storage media such as Dropbox, Evernote, Google DocsTM, SugarSync, Salesforce Chatter, and SharePoint Online Windows. Scanner weighing only 0.4kg is very suitable to be taken anywhere. With a speed of 7.5 sheets per second, makes it easy for all your work.